The main characteristics of niobium-bearing zirconium alloys used for fabricating fuel element claddings of pressurized water reactors are considered. It is shown that the high corrosion and radiation resistance of zirconium parts is provided by the chemical composition, structure, and phase composition of the alloys. 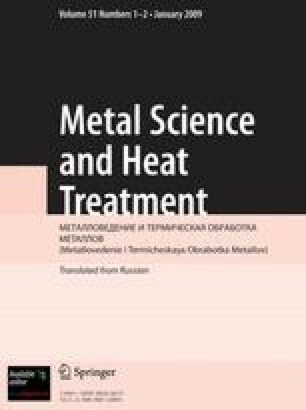 The Zr – Nb alloys developed in Russia provide reliable operation of fuel elements and fuel rod arrays in active reactors and serve as a basis for new modifications.